Together private sector banks registered around 18% growth in net profit in FY-15 vs FY-14 which is quite commendable given the stress in the economy and corporate balance sheets. 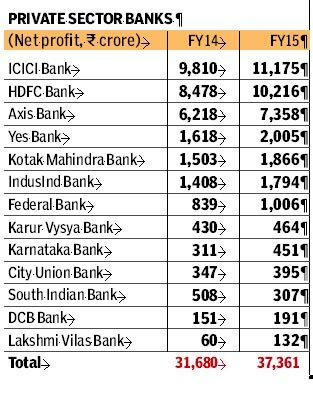 Both ICICI bank and HDFC bank continue to lead with highest net profits and each crossed Rs. 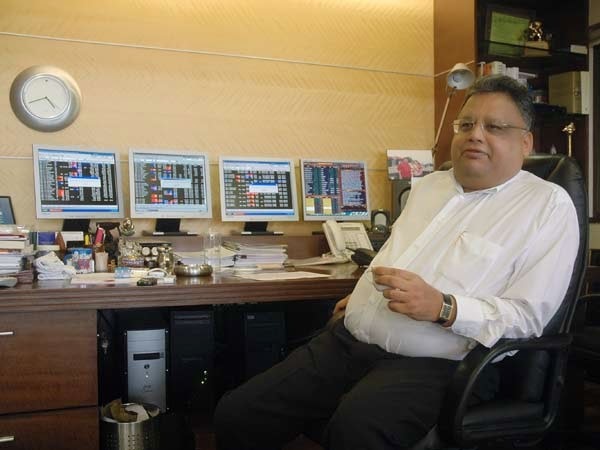 10000 crores profit in FY-15 for the first time. Among large private sector banks, Indusind bank's profit grew at the fastest pace at over 27% in FY-15 vs FY-14. South Indian Bank was the only private bank that reported fall in net profit in FY-15 compared to FY-14.